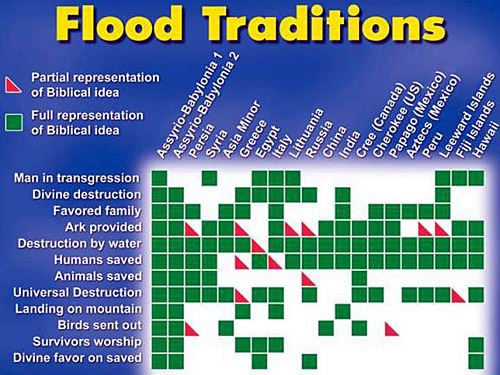 I don’t know how anyone knows about 200 or more, but I know of quite a few deluge myths myself, including Babylonian and Mayan, and I wouldn’t doubt that there are several score at the very least least. Hancock points out several. As I understand it, most are in cultures that had fairly small contact with the outside world, and they are spread out around in corners of the world where it seems doubtful that they learned such histories from others.